Iota Localization Services - How geared up is your portfolio for International Market Development? A Call-Out to the VC Community: How geared up (really) is your portfolio for International Market Development? I caught up with a recently on-boarded client last week to see what kind of traction their product was getting in Europe — Germany specifically. BTW, these folks are great to work with. 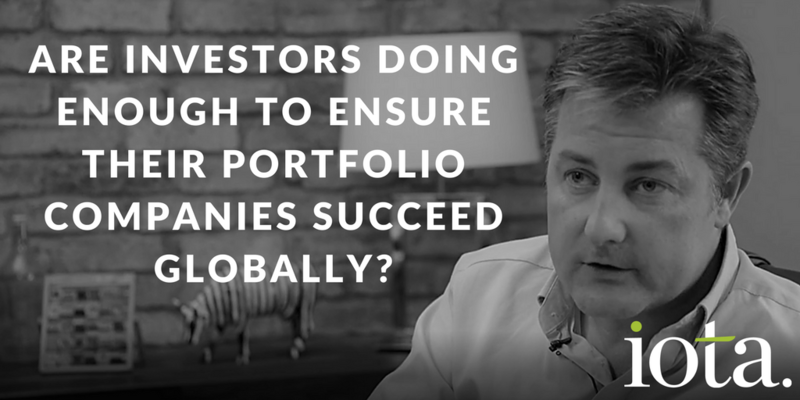 They’ve built a REALLY good product; they’re enthusiastic and driven … AND they’ve raised a bucketload of cash from VC’s … BUT, like many ambitious companies, they’ve experienced some frustrations in delivering on global expansion commitments as quickly as they (and their investors) would like. We got involved a few months back when they were at the peak of their frustration, via an introduction from a mutual contact. As you might expect, we jumped on this as soon as the initial call came. Our in-country teams spent many hours with them, reviewing, listening and understanding the CX aspects of their interface and (importantly at this stage) helping to culturally adapt their marketing collateral to prime the channels for distribution and build visibility, while maintaining the tone and voice of the brand that they have spent blood, sweat and tears developing. Yes — this is what we actually do. We don’t just translate content. We work closely with clients, firstly to understand their product set and what their core message is, and then we help deliver it — as they want it delivered. You see, international markets all have individual nuances which need to be catered to. Users (remember them? The guys who pay you money to use your stuff!) generally like to be able to relate to your message and your product — not just be able to read it. Some content marketing agencies “get it” (sometimes). A good Localization Partner should ALWAYS “get it”. Using a literal translation will not cut it — content is often complex and demands that experienced professionals take a view beyond pure, simplistic translation. The “cultural adaptation” element of localization is so important. I cannot stress this enough. At Iota, if we took a literal approach to the content we work on for our clients…well, suffice to say, we would not have the business we do today. I “get” the strategic visions and roadmaps they espouse (I worked in finance for many years) — but, when all is said and done, it can all be quite formulaic. The projections and the financing models for international expansion are very often based on broad assumptions around adoption and conversion of new users overseas. However, the means of getting to the adoption rates assumed is often overlooked. I’ve rarely seen realistic localization costs projected in any business model — much less seen it described as an investment rather than just another cost line. Perhaps VC’s are missing a trick in their modelling, risk analysis and due diligence here? Do they really have their heads around the cost (and drivers) of success in international markets? And here’s a novel one — Should VC’s engage directly with localization professionals to critically assess the roll-out plans of their portfolio companies for potential gaps in the localization thinking? https://iotals.com/wp-content/uploads/2018/09/1_1mlDvGx_Ej2Zj6go-J87KQ.png 512 1024 Graham Rigby https://iotals.com/wp-content/uploads/2018/08/iotalogo.png Graham Rigby2017-07-24 11:43:172018-10-24 16:10:54A Call-Out to the VC Community: How geared up (really) is your portfolio for International Market Development?